Project: The DOGAMI Geologic Guide and Recreation Maps were created to be both educational as well as practical trail guides that highlight the detail and utility of lidar. The first map in the series was the Mount Hood guide by Tracy Pollock. 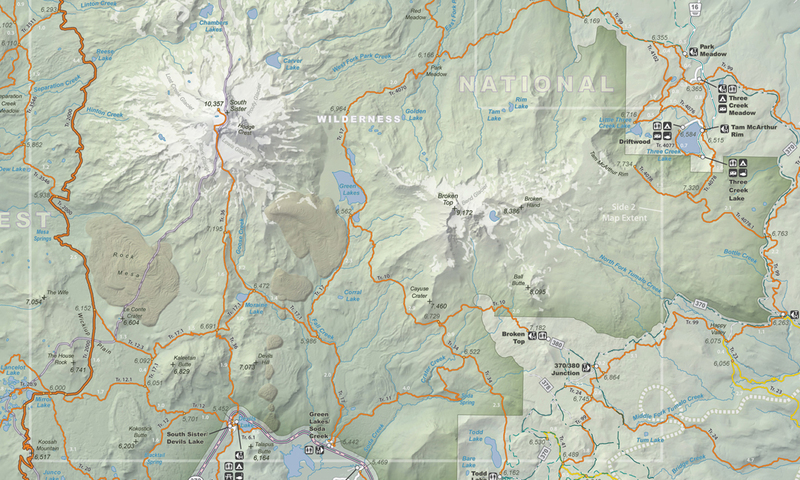 The other two maps in the series, Three Sisters and Crater Lake, are shown below. These two-sided maps display a large amount of ancillary geologic information in the form of text, maps, photos, and graphics to give the user a solid general geologic overview of the area. Based on new lidar data, the trails on the maps were redelineated and distances and elevations were recalculated. National Forest and National Park boundaries, facilities, and infrastructure were also included. The maps were also released as georeferenced mobile maps through Avenza’s PDF Maps platform. This allows the user to download the maps to their mobile device and geolocate themselves on the map while hiking. 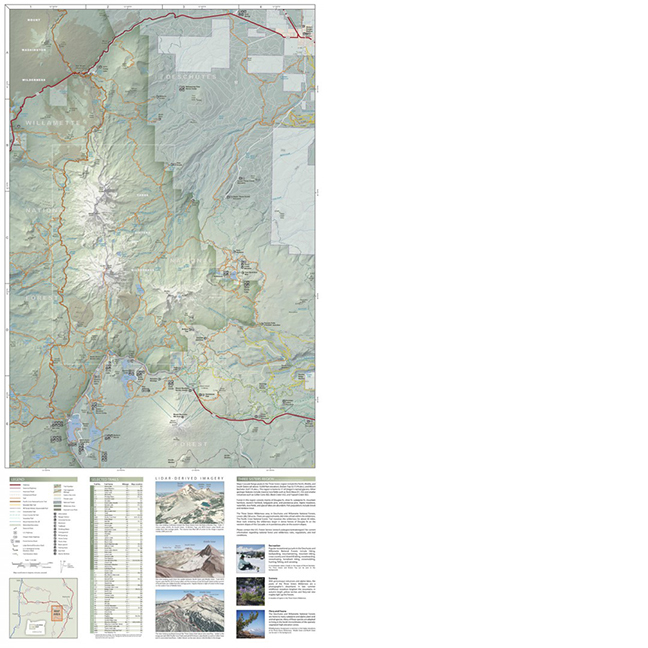 Side one of the Three Sisters Geologic Guide and Recreation Map – the overview. 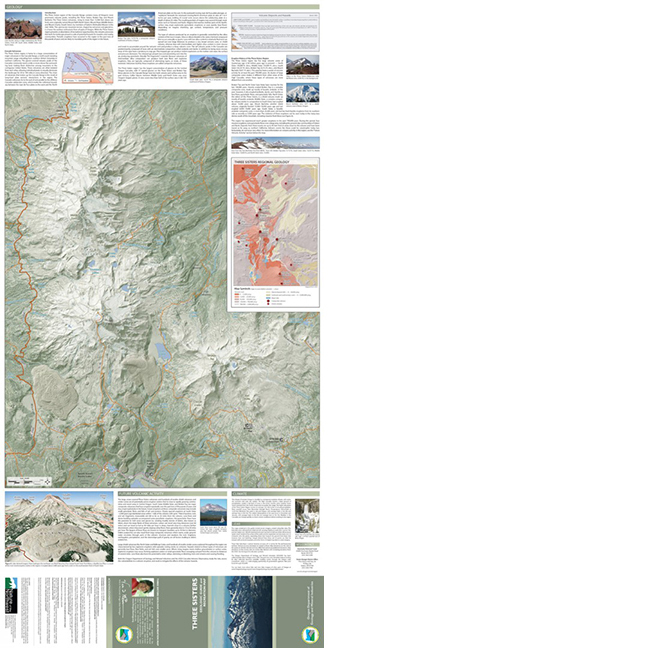 Side Two of the Three Sisters Geologic Guide and Recreation Map – the detailed central region. 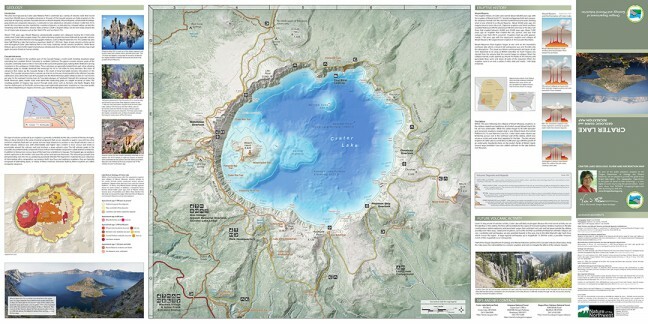 Side One of the Crater Lake Geologic Guide and Recreation Map – the entire National Park overview. 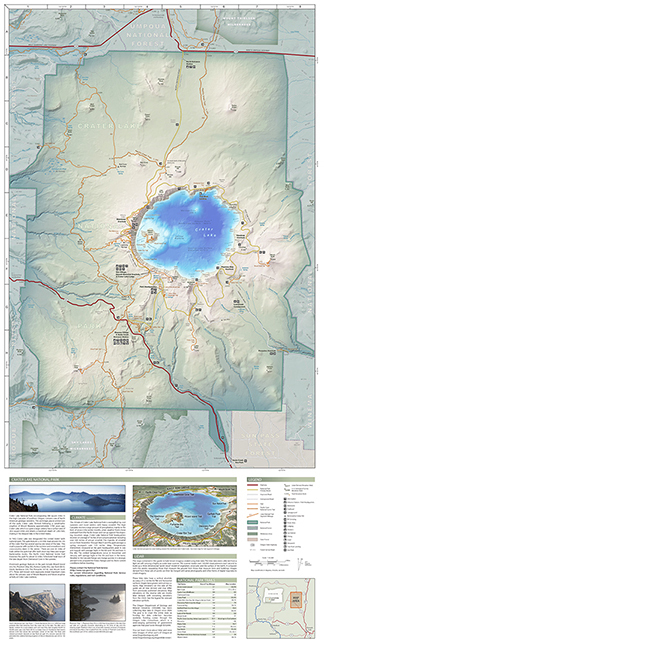 Side Two of the Crater Lake Geologic Guide and Recreation Map – Crater Lake area detail.